The forecast for fishing in 2018′ is quite bright. Fish species like Brown Trout, Lake Trout, Steelhead and Walleye are all on the rise. 2017’ was the BEST KING SALMON fishing that we have seen in the past 10 years! We have a new lodge for our south shore fishery during April. After 22 years on the south shore we are offering new accommodations for our fishermen. It has long been a Saiff tradition to take one of our boats to Pultneyville, NY during the month of April. In 2017′ we enjoyed fabulous Spring Brown Trout fishing and we have a bright outlook for 2018. Lake Ontario gets warms on the South Shore first, so while things are un-thawing in Henderson Harbor, we enjoy a month’s worth of fishing in Pultneyville. Check out the Bill Saiff Outdoors channel on YouTube.com and view many of the great Spring Brown Trout videos shot during this time frame. The month of May looks extremely bright for Trophy Walleye in Lake Ontario’s eastern basin. 2017’ was a tough Walleye year because of the high water and flooding. By the time the water’s receded, the Walleye fishing was over so many of the GREAT fish saw no pressure! This means that all those fish will be there to catch in 2018′. 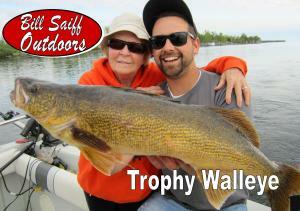 over the years, we have noticed a correlation between GREAT WALLEYE FISHING and year’s when there was heavy ice cover! 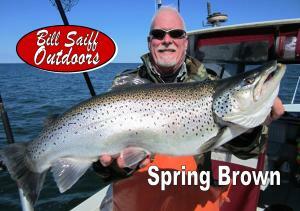 Well, the ice is on early this year and temps are cold so we are looking forward to a “Hot Action” spring! The winter bite has been quite good so far, so we expect good fishing as lake temperatures rise. Northern Pike and Pickerel fishing is also hot during May and early June so look for these species as a bonus this spring. 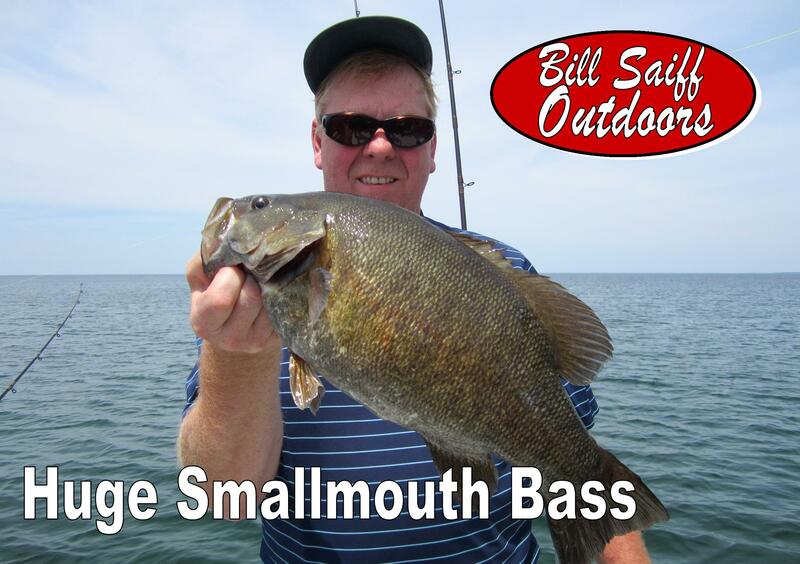 This warm water fishery rolls right into fantastic Smallmouth Bass action on the 3rd Saturday in June. Henderson Harbor has long been known as the Bass fishing capital of Lake Ontario. A combo trip that includes Bass, Browns, Lakers and even some early Kings is not uncommon during the month of June. Late June and July represent what we refer to as “Hot Zone” fishing. The Saiff Fleet assaults the Shipping Lane region of Lake Ontario during this time period. Our quest at this time is for early summer Salmon but anything can happen during the “Hot Zone”. 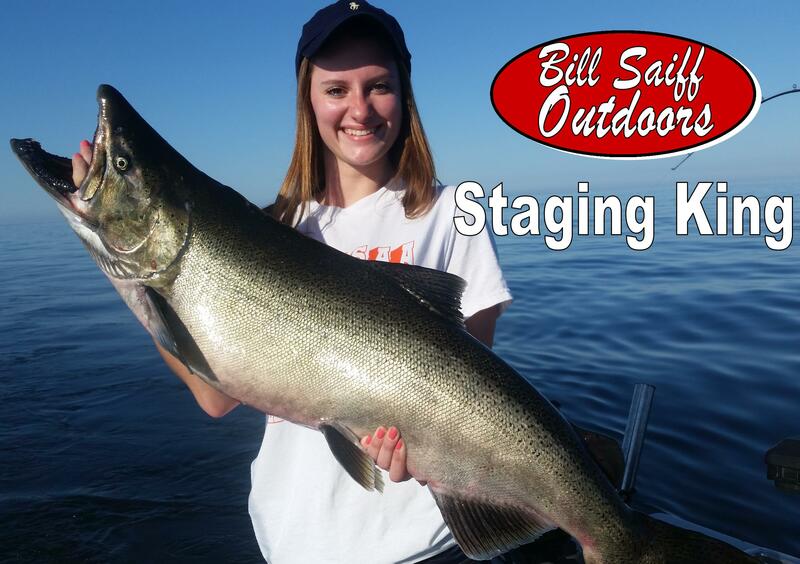 Incredible catches of Kings, Steelhead, Browns and Lake Trout are all common place throughout this time frame. If an angler is looking for big fish with lots of action, the “Hot Zone” is hard to beat…. August is a great month for Trophy Lake Trout, especially in the early part of the month. 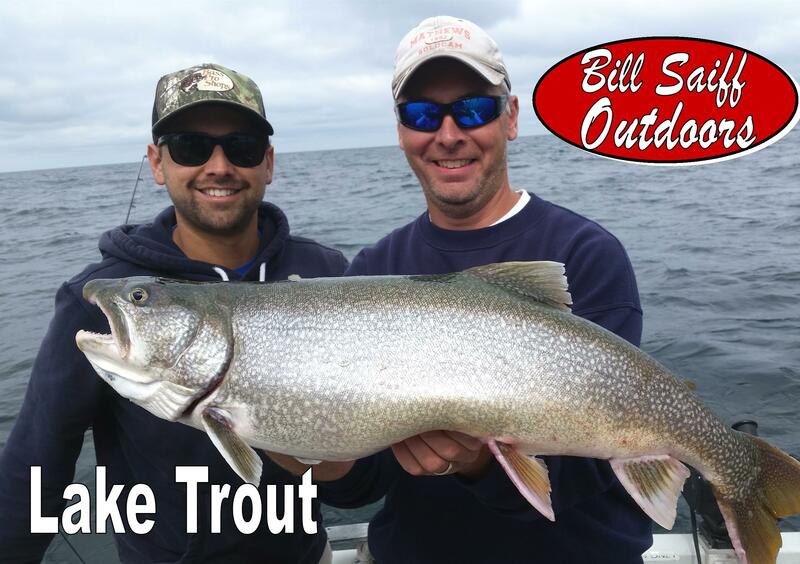 Lake Ontario reaches its peak temperature and behemoth trout hug the bottom in the coldest water. Deeptrolling techniques put us in contact with Lakers that often break the 20 lb. mark with some examples cracking the 30 lb. mark. 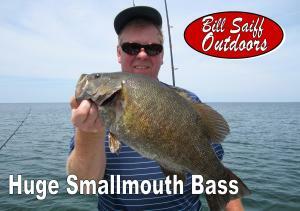 This great fishery is coupled with our late summer offshore Walleye fishery. Capt’s like Bill Saiff Jr. and George Kogut are specialists on big Walleye during August. These two guys have caught more Walleye in the 80’s and 90’s than most guides will catch in a lifetime. This is an overlooked fishery during August but one that should be taken advantage of.